يشكل فندق Island Beach Resort بموقعه الممتاز في قلب برود بيتش نقطة انطلاق ممتازة لاستكشاف جولد كوست. إن موقعه الجيد الذي يبعد 1 km فقط عن مركز المدينة يساعد النزلاء على الاستمتاع بمعالم المدينة ونشاطاتها. سوف يعشق النزلاء موقع هذا الفندق، فهو قريب من أهم المعالم السياحية في المدينة كمثل باسيفك فير سنتر, Dracula's Cabaret Restaurant, اوسيس . إن الخدمات الممتازة وحسن الضيافة العالي في Island Beach Resort تجعل إقامتك تجربة لا تنسى. يقدم هذا الفندق العديد من الخدمات الكفيلة بإرضاء أكثر الضيوف تطلباً. تعكس غرف الفندق البالغ عددها 29 المنتشرة في 3 طوابق جواً من الدفء والألفة.خدمات عصرية مثل تلفزيون بشاشة مسطحة, اتصال لاسلكي بالإنترنت, غرف لغير المدخنين, مكيف هواء, تدفئة موجودة في بعض الغرف المختارة. صممت خدمات الاستجمام في الفندق والتي تتضمن حوض استحمام ساخن, ساونا, مسار جولف - ضمن 3 كم, حمام سباحة خارجي, سبا لمساعدتك على الاسترخاء والراحة. مهما كانت أسبابك لزيارة جولد كوست، فإن Island Beach Resort هو الخيار الأفضل لإقامة مثيرة وممتعة. تجدر الإشارة إلى أن النزلاء يمكنهم استخدام الإنترنت مجانًا يوميًا حتى 300 ميجابايت. Great unit, customer service amazing, great location, will go back there again. A friend and I shared a 2 bedroom apartment on 2 levels. We each had our own bathroom, our own space and our own TV. We could open the sliding doors overnight as there were security screens so we could get lots of fresh air. This is a great asset for the property. There were 2 balconies on both levels which was also a plus. On the negative side, it was not possible to access the internet through their WiFi much of the time. When I asked them to contact their internet service provider, they refused and told me I had to do it. They didn't seem to realise that this affected the entire complex. Then I was unable to get onto their ISP. Also, when it was available, the internet connection was slow. This was disappointing as, in all other respects, we enjoyed our stay. No housekeeping for the entire days of staying. Everything 'great' - and I don't give 5 stars often! This resort is only a block from Pacific Fair, a block from the beach, a couple of blocks from a Woolies and many cafes as well as a huge gated playground. The pool was warm and got plenty of sun. Apartments are comfortable and have all you need for a holiday. Limited amenities supplied so will need to buy your own if staying more than a couple of days. No face washers provided. No ramp for pram access into resort, we stayed on second floor so had to carry pram up stairs every time we went out as there are no lifts and it didn’t fit through doorway (meaning it’s not standard doorway width) so it had to be folded each time which was annoying but if you have a single pram or no pram this wouldn’t be an issue. Only 4 stars for service as we had a painter on our private balcony outside our bedroom door before 8am one morning and didn’t get any prior warning, management are friendly though. We enjoyed our time here and would definitely stay again on ground floor. Great location. Staff were very accommodating!.... :) Will be back! 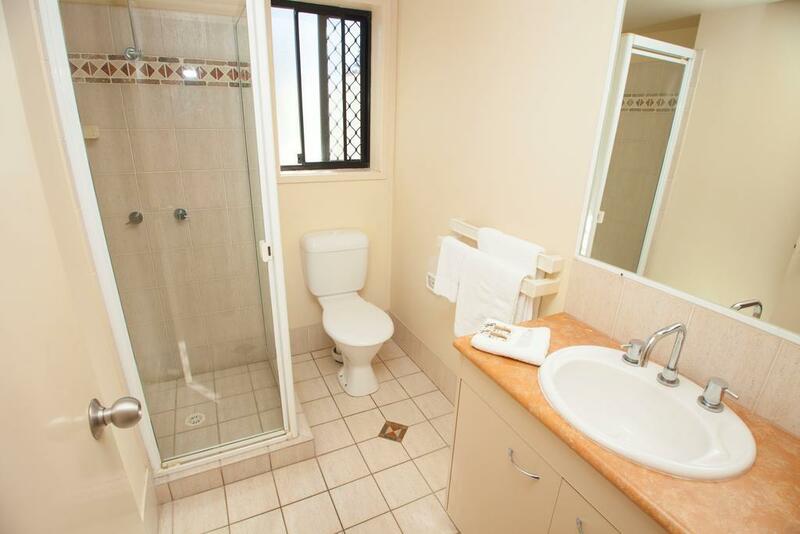 Property was clean, very well equipped and handy to all shopping, transport etc. We had a really great stay and would definitely recommend this. A little gem of a place at the price. Hi Shane, Thanks for your time to submit a review we find our location and 3.5 star rating and price keep bringing back our regular guests we hope you can stay with us again. Kind Regards, Greg & Jenny. 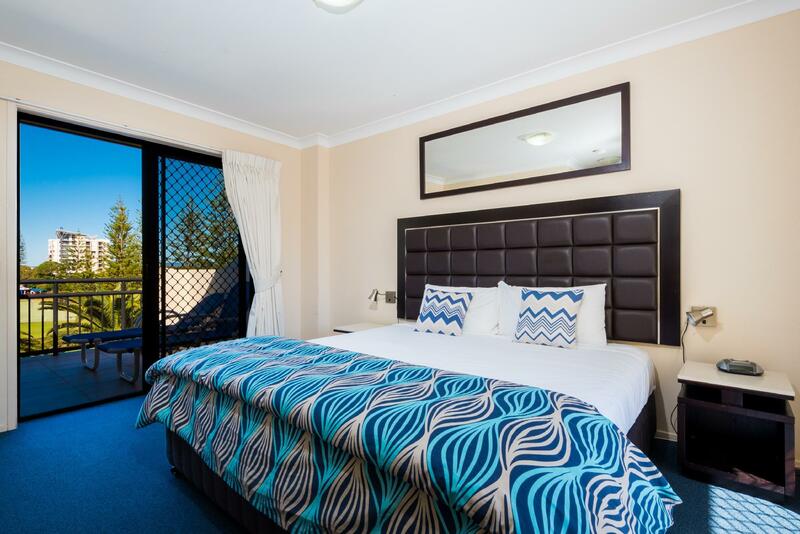 Hi, Sorry you did not enjoy your stay we are a 3.5 star with a great location with everything Broadbeach has to offer only a couple minutes walk. Kind Regards, Greg & jenny. We really enjoyed our stay. The kitchen was well equipped. Despite terrible whether, we had a spa and it was lovely! Would definately go back again. Hi Karen, Thank you so much for taking time to submit a review we appreciate your comments and hope you can stay with us again. Kind Regards, Greg & Jenny. Island beach resort is a hidden treasure..Accomodates for families couples or solo very clean tidy and friendly staff. Hi Viv, Thank you so much for your lovely review we hope you can stay with us again. Kind Regards, Greg & Jenny. The apartments are looking a bit tired and definitely need taps replaced as the hot water tap handle was cracked and it could be dangerous if it snapped completely. Limited internet so not enough unless you want to purchase. Good location walking distance to Pacific Fair,light rail restaurants. Nothing flash. Hi Gail, Thank you for your time to submit a review you should have reported the broken water tap to reception and we would have replaced as soon as possible. You are entitled to 300 Mb of Free Access each day on our wifi. Kind Regards, Greg & jenny. great place to stay, close proximity to everything. very clean facilities and friendly staff. Thank you for taken time to submit review we appreciate your comments. Regards, Manager. Short walk to Jupiter's and beach. 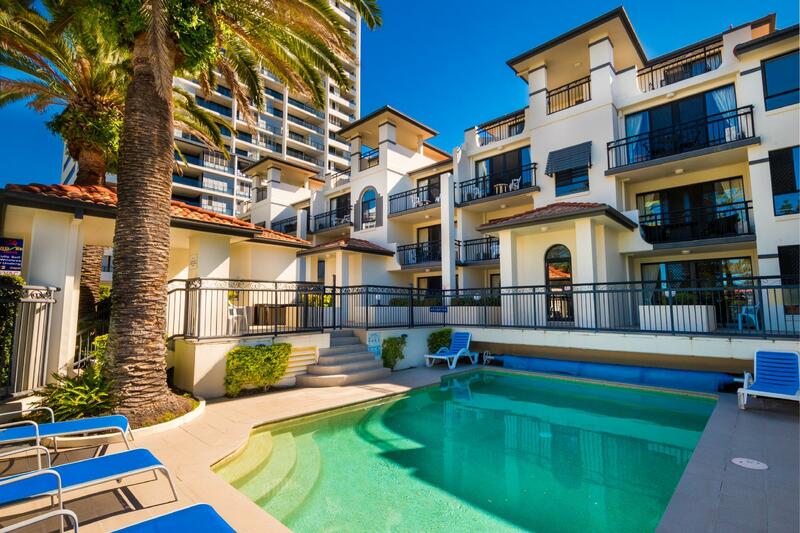 We are in such a great location to everything Broadbeach has to offer. Regards, Manager. My only real complaint was that we got charged for extra towels for swimming in hotel pool and that there was no air conditioning or roof mounted fan in the bedroom there wise we found the hotel a great place to stay. Thank you for taking time to submit a review we have taken on board your comments. Regards, Manager. Thank you so much for your lovely review. Regards, Manager. Thank you so much for your review our location is the best. Regards, Greg & jenny. Thank you for your great review look forward to your return next year. Regards, Manager.